This recipe was inspired by a question in the Divi Soupies Facebook group. A group member wanted to know how they could make a call to action button in the menu work better on phones and tablets. As you know, our beautiful menu buttons look great on desktops, but are hidden in the mobile menu. Not cool! In this recipe, I am going to show you how to create a call to action bar (button) for mobile devices. As you can see in the image above, this is a bit different from Michelle’s sticky button recipe, and is not recommended for desktops. While I call this a bar, it really is more of a button – and that is how you should treat it. Unlike promo bars, this cannot be closed or hidden, and should only contain a few words at most (that means 3). So let’s get that button/call to action out of hiding on mobile devices! An active child theme. 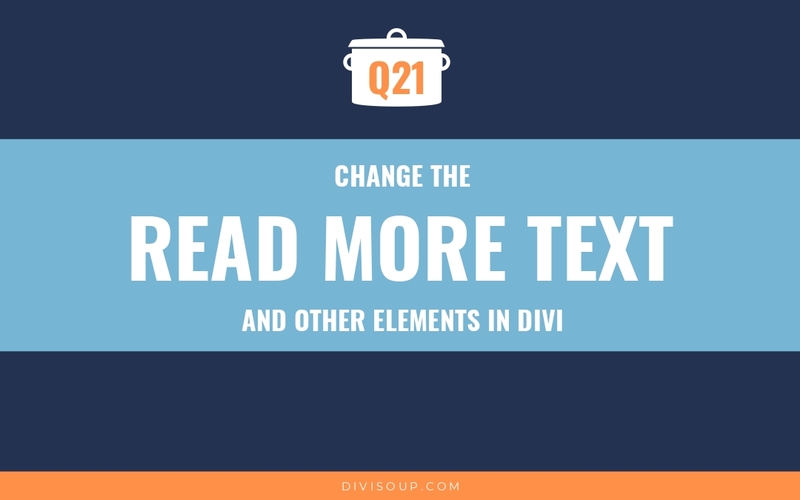 You are going to edit the header.php file, so a child theme is imperative if you don’t want the effect overwritten when updating Divi. If you don’t have a child theme, you can create one free at https://elegantmarketplace.com/child-theme-maker. This should take around 15 minutes. The first thing we need to do is get our header.php file set up correctly. 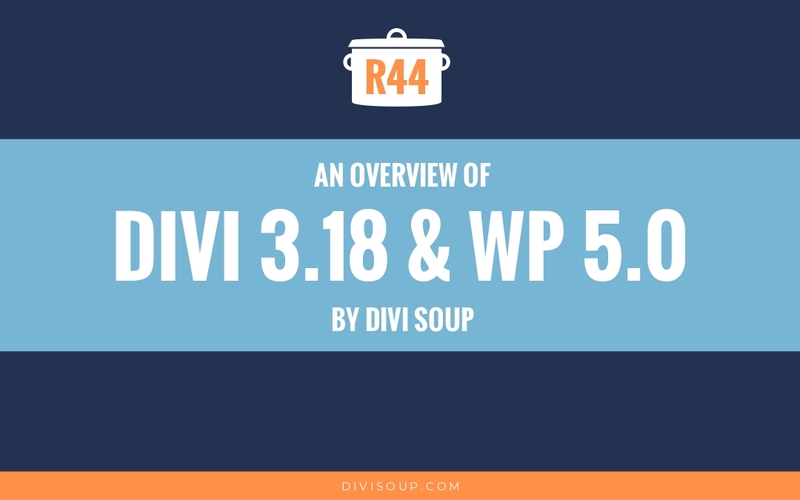 If you don’t have a header.php file in your child theme, simply duplicate the one in the Divi theme. Once you duplicate the header.php file, you can add it to your child theme via FTP or SFTP. Once you are finished doing that, you can create your bar. Go to Appearance > Menus in the WordPress dashboard and create a new menu – you can label it anything you’d like. In this tutorial, I have named it Mobile CTA. This will be your bar. You can use an existing page, post, or custom link. Just like any button in the menu, you can also add icons with Font Awesome. Next, add a CSS class to your new menu item. This option is hidden by default, so click on Screen Options at the top of your window and select the appropriate checkbox (see below) if you don’t have it enabled. Once enabled, add the CSS class “ds-cta-bar” to that field (see below). 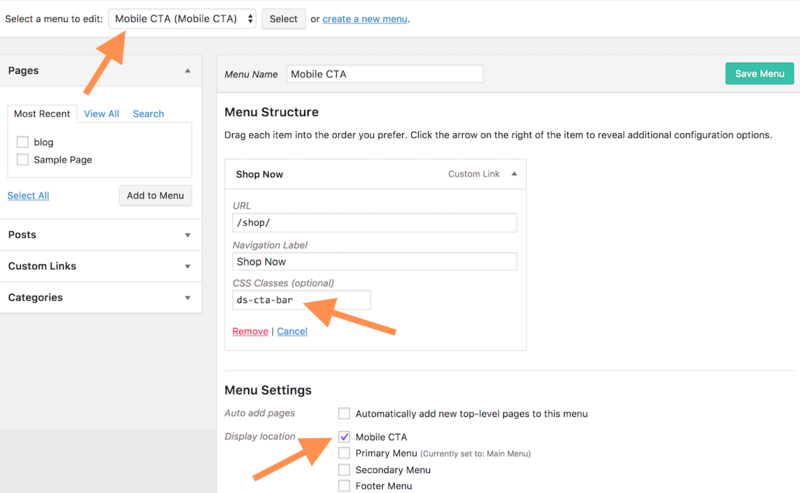 In Menu Settings at the bottom, be sure to select Mobile CTA and then save the menu. Finally, add some CSS to your child theme stylesheet. Open the style.css file in your child theme. Copy and paste the code below and save. The code is commented so you can change the color, font, and even hide it on tablets too. That’s it! Now you’ll have a nice call to action bar that will appear at the bottom of your site on mobile devices. 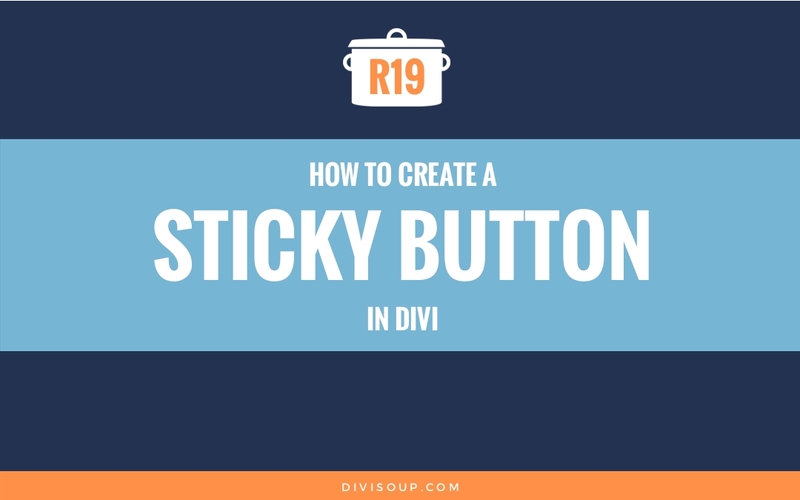 If you found this recipe helpful, please share it, leave a comment, and/or subscribe to the Divi Soup newsletter to get more Divi Soup resources delivered to your email inbox. 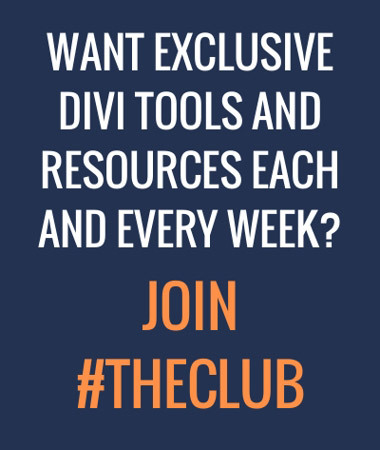 For even more awesomeness, join the Divi Academy Club! 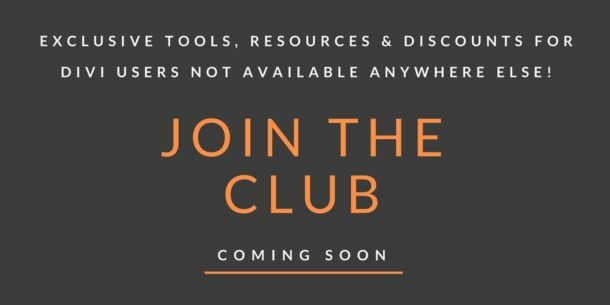 Check it out at https://divi.academy/membership/. Shay Mann has been designing websites for over 13 years, and has worked as a freelance web designer specializing in Divi since 2015. He currently works under Michelle Nunan assisting with Divi Soup & Divi Academy, and operates his own Divi web design & support service. Shay lives in Virginia Beach, VA with his two black kitties, Diva & Shadow. Is there a reason I am not seeing it in action in the demo site? Yes there is a reason, I inadvertently did not include it after updating the header.php for another demo layout. However, it is now active. is there a way to make it hide on scroll? I would recommend just using a standard button as usual if that’s what you want to show. I am waiting for something like this for a long time and finally it’s here. Thank You Shay Mann and Michelle Nunan for this amazing thing. Demo is not working properly? Many thanks, I have managed to do it also. Great tutorial. Is it possible to combine 2 or 3 buttons? Or it becomes too complicated? I would not recommend that, but also have never seen that done. 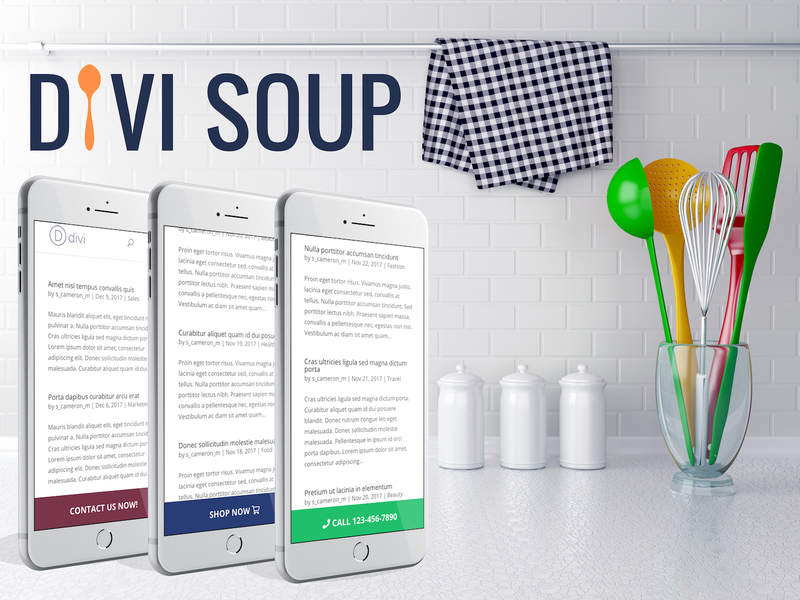 This isn’t a replacement for a menu – just a single CTA. thanks so much.. it just works! !